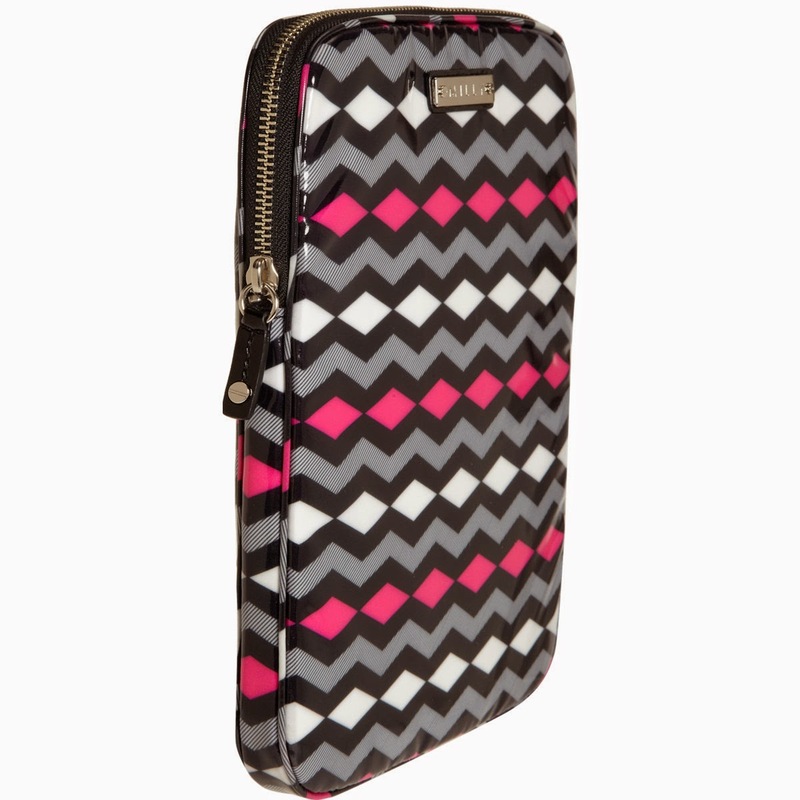 As you might remember, I first introduced you to my Milly Zigzag Print iPad Case in my BST "What's in my Purse" post HERE. I am absolutely in love with this iPad case, and was thrilled to get such a high quality case during a Barneys New York Warehouse Sale. 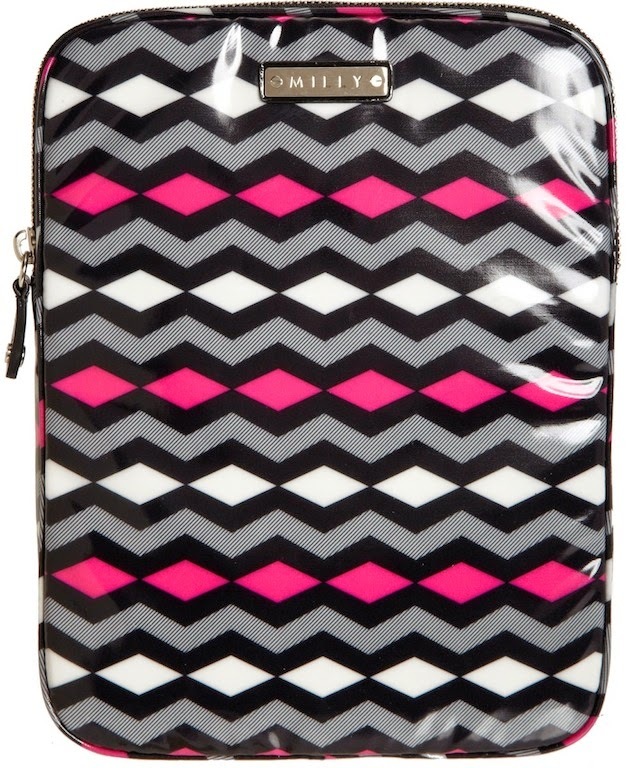 They are currently having their The Spring Holiday Sale, and are offering an additional 40% off on Clearance items, and my beloved Milly Zigzag Print iPad case is among the radically reduced sale items (Regular Price $85.00, On sale for $29.40). 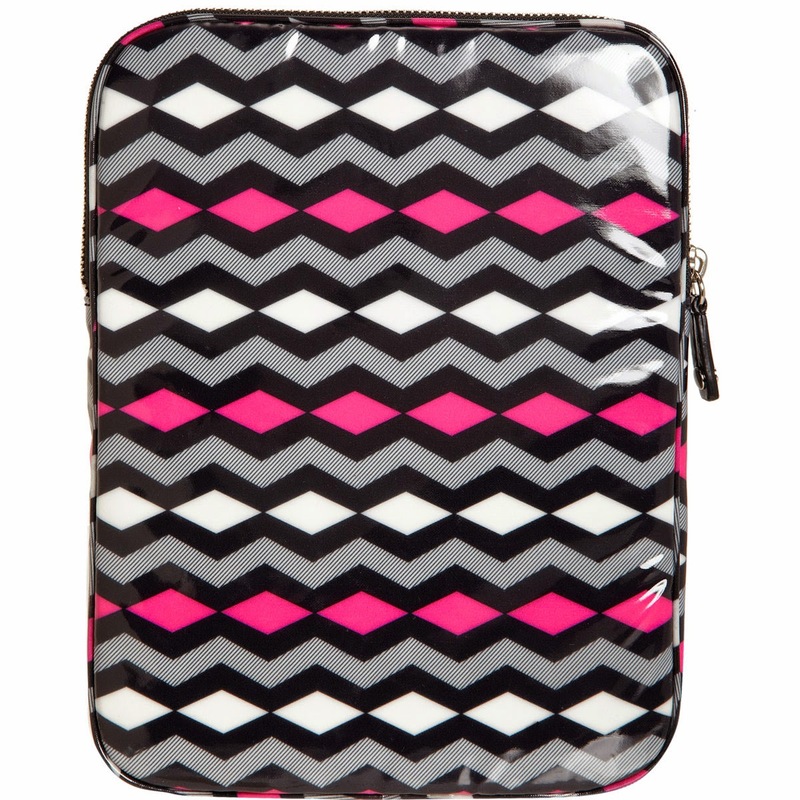 Milly Shocking Pink/Multi zigzag-print coated-poplin iPad®case. The plush interior offers my iPad the perfect amount of protection, and is roomy enough that I can carry my iPad keyboard if I opt to carry it with me. Barneys New York Warehouse also offers complimentary shipping on all U.S. orders. The case is high quality, very durable, and it is such a pleasure to use. It is slim enough in profile to stow away in your bag without taking up much space. It is also very easy to clean. Overall Assessment: If you are in the market for a case for your iPad, then this beauty is well worth considering! I am in love with mine, and had to share this great sale with you! Regular Price $85.00, On sale for $29.40 from Barneys New York Warehouse. That is so bright and cheery! Love it. It really is! It makes me happy every single time that I see it! I love everything by Milly! This case is so cute. Hi Jamie! Milly definitely makes wonderful things, and I am completely smitten with this case! I love the colors and pattern! Me too, Brooke! It puts a smile on my face each time I see it! It's great quality as well! The design and quality are AWESOME! It's such a great value now that it is on sale too! That's a beautiful case! I love the pattern. I agree completely! It's such great quality and the design and pattern are fabulous! Cute! I love the pattern.